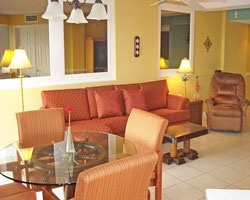 The beachfront *Catalina Beach Club* is perfect for a fun-in-the-sun vacation! It is just minutes from golf courses, biking, horseback riding, hiking, and all attractions and beaches of the Daytona resort area! Disney World and Kennedy Space Center are each an hour away. Swim in the resort's outdoor heated swimming pool, or in the ocean just a few feet away. All units are oceanfront and offer free Internet access, but there is also a free Internet cafe on the resort's second floor. For more information about this resort, visit www.catalinadaytonaresort.com. Peaceful and relaxing beachfront location! Enjoy week 24 every year! Buyer may receive a title fee credit, inquire for details!! 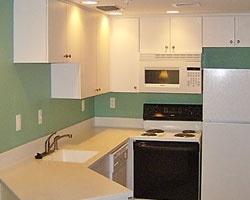 1 of only 3 Penthouse Units at the resort! Top floor unit with 3 balconies! Buyer May Receive A Title Fee Credit, Inquire For Details! December 17, 2015 - December 24, 2015! Resort is near all the endless activities on daytona beach! Beautiful beach front resort! come to Daytona Beach for annual week 48 vacations! Inquire for details! 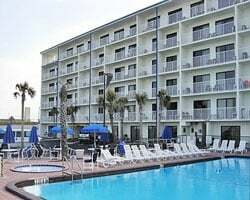 Enjoy a great September vacation each year at this amazing Daytona Beach resort! Buyer may receive a title fee credit, inquire for details! 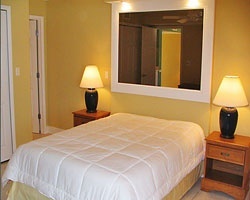 Relax & unwind at this resort located right on the beach! Buyer may receive a title fee credit, inquire for details!